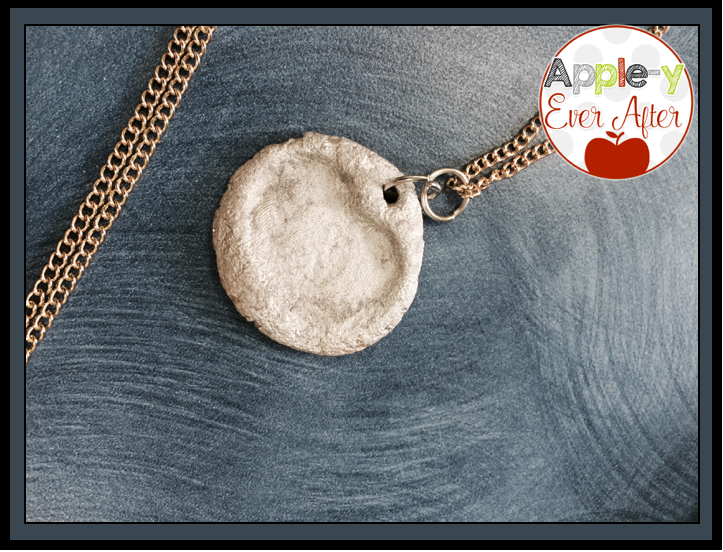 Mother's Day Necklaces - Apple-y Ever After! As a parent, I know that Mother's Day is about showing our Moms how much they mean to us. 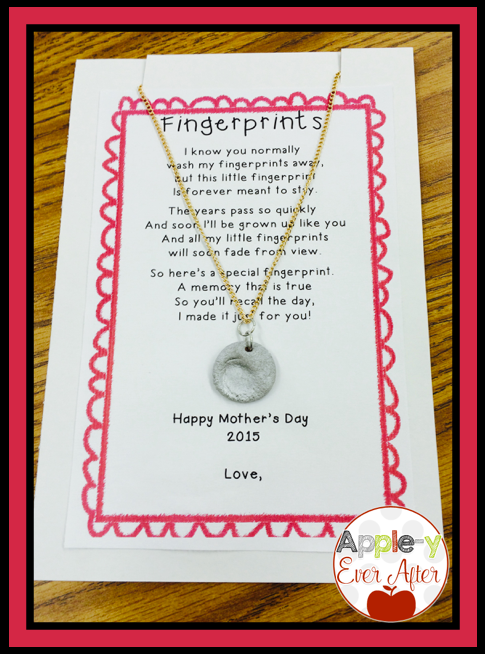 For our Mother's day gifts in my class, I wanted to help my students create something timeless and special that would hopefully last more than a day or two. In doing my research, I noticed on pinterest the fingerprint keychains. I FELL IN LOVE! 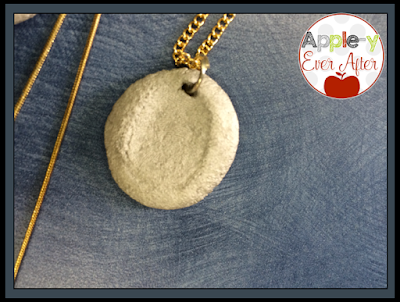 So, step one with my class was to make these. Here is the recipe! Holy moly. I found that getting the right texture was tricky. It was hard to get the exact right texture. 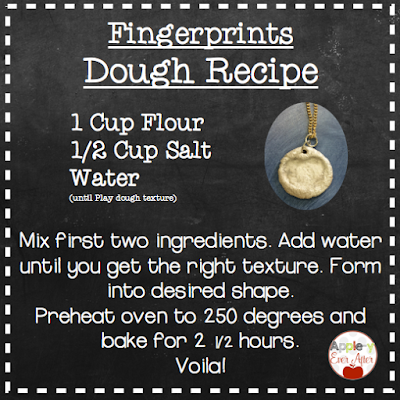 We had to put a tad of vaseline on the tiny fingertips in order for them to not stick to the dough. Once we did that, it turned into perfection! Here are some of my adorable chain fingerprint pendant necklaces! You can see the fingerprints better in real life. The picture just doesn't capture the beauty that each of these contain. 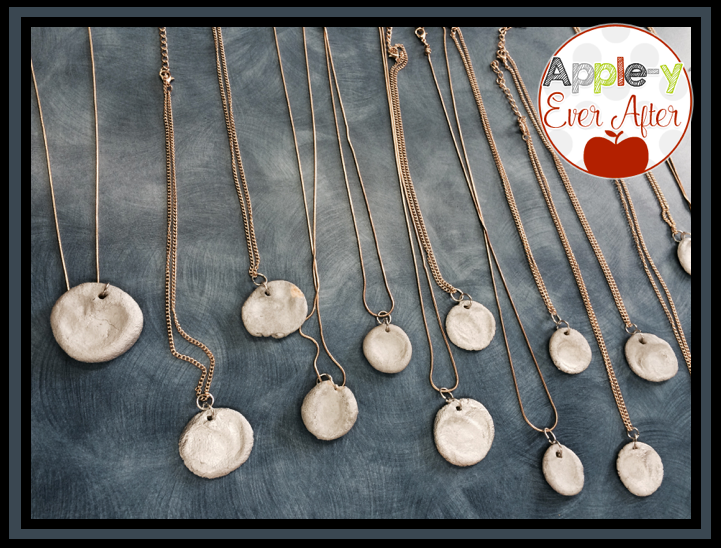 After the necklaces were put together, I created this backdrop to them. I thought it said exactly what I was thinking when I found this project. I absolutely love the way these turned out! Not the Diary of a Worm!